How to Contribute to Postgres — PostgreSQL gets a new release each year. Development on the new release happens well ahead of time with improvements being organized into ‘commitfest’ sprints. Here we look at some ways to get started contributing yourself. 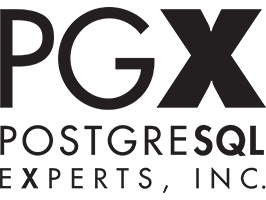 Because Your Data Is Your Business — PGX's open source experts provide the database and application skills necessary to solve database problems, accelerate existing applications, refactor infrastructure, and develop new applications. Unearthing Some Hidden PostgreSQL 11 Gems — Postgres 11 is barely three months old so it’s still taking people time to dig through all of its new features. Kaarel Moppel has done just that and shares some of the bits he found interesting. PostgresConf 2019 CFP Extended Until Friday — PostgresConf US 2019 is taking place in New York City this March and they’ve had over 170 proposals so far. They’re keen for more, though, so you have until Friday (January 18th) if you want to join the party. Performance Troubleshooting using New Azure Database for PostgreSQL Features — If you’re using Postgres on Azure, this could be handy. pgDash Diagnostics and Monitoring for PostgreSQL — Maximize performance and gain insights into your PostgreSQL deployment. Review diagnostics, monitor core functions, share with your team. pg_stat_user_tables is a fantastic system view that can show us invaluable information about the tables in our databases and can be used in diagnosing performance issues. Vacuum statistics like last_autovacuum and n_dead_tup will show if there are tables that aren’t being vacuumed efficiently and n_tup_hot_upd if you aren't performing HOT updates. This simple query will help highlight tables that are heavy on sequential scans and potential candidates for adding an index. By looking at the seq_scan results, you can see precisely how many sequential scans have happened on a table. Then looking at seq_tup_read you can see how many tuples are being read during those scans. If those numbers are significantly higher on certain tables, some further indexes may be badly needed. This week's tip is provided by Peter Tormey @ SoFi and sponsored by strongDM. SoFi relies on strongDM to manage and secure access to databases and servers. Learn more about strongDM. If you have any ideas for your own tips, reach out here - we'll pay $50 for your tip if we use it in an issue.